A lot of women dream of having a long, lean and fit body. Unfortunately, this is far easier for some women to do than it is for others. Thankfully, if you aren’t naturally thin, there are a number of ways you can burn fat, shed pounds, and tone your body. Before you give up on weight loss, try out these seven simple tips. They will help you to get the lean body that you have always wanted. A lot of people think that the best way to lose weight is with a diet. While it’s true that fad diets can help people to slim down, they are only a short term solution. If you’re looking for a permanent fix, you will want to make dietary changes you can stick with. With that said, that doesn’t mean that you can never enjoy junk food again. You just have to follow a healthier diet. If you can do that, the weight will come right off. Instead of eating one or two big meals during the day, try to have lots of small meals. This will keep you from getting too hungry, which will keep you from overeating. In addition, eating frequently will help to keep your metabolism high. Three small meals and two snacks is the ideal way to eat. Spending hours at the gym simply isn’t feasible for everyone. Thankfully, there are ways to exercise that don’t require you to set foot on a treadmill. Try to find a workout method that works for you. You could try swimming, running, or simply going for a walk. You could get exercise by doing chores around the house, or working in your yard. If you find a method of exercise that doesn’t feel like work, slimming down will be a breeze for you. A lot of people make the mistake of eating right before bed. While no one wants to go to bed on an empty stomach, eating right before bed can cause a number of problems. When you eat right before bed, it can become more difficult for your body to properly digest the food you have consumed. In addition, eating before bed can keep your body from burning off calories. Instead, the meal you have eaten will be stored as fat. If you want to change your body, try eating your last meal about five hours before bed. You’ll be able to see and feel the difference. 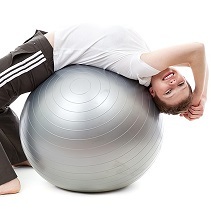 If your primary focus is on obtaining a lean body, then you should look into taking either yoga or pilates classes. Both of these types of exercises have helped women to obtain a leaner and more toned body. Both yoga and pilates are fairly gentle, which means that they can be practiced by people who aren’t in great physical shape. In addition, these types of exercise are extremely popular, which means that you should easily be able to find classes in your area. See what kind of classes are near you, and decide if you’d like to show up for one. A lot of people make the mistake of cutting too many calories from their diet when they are trying to lose weight. If your body isn’t getting enough calories, it isn’t going to burn fat. Instead, it is going to store fat. As a rule of thumb, your calorie intake should be around 10 times your body weight if you want to slim down. For example, if you weigh 150 pounds, you will want to eat at least 1500 calories each day. Any less, any you might not be able to make the kind of progress you want to make. While cutting fat out of your diet can be a good thing, you don’t want your diet to be completely fat free. Fat is something that your body needs in order to function. If it isn’t getting fat through the foods you eat, it is going to hold on to the fat that it already has. Instead of eliminating all fat, you should focus on getting your fat from healthy sources. Cut trans fat out of your diet, and consume healthy types of fat instead. You will be able to slim down while still giving your body the type of fat it needs. If you follow these seven simple tips, you will be able to get a lean and fit body. There are a lot of women out there that struggle with their weight, but thankfully, practical solutions exist. If you’re not pleased with your current weight, see what you can do to drop some pounds.